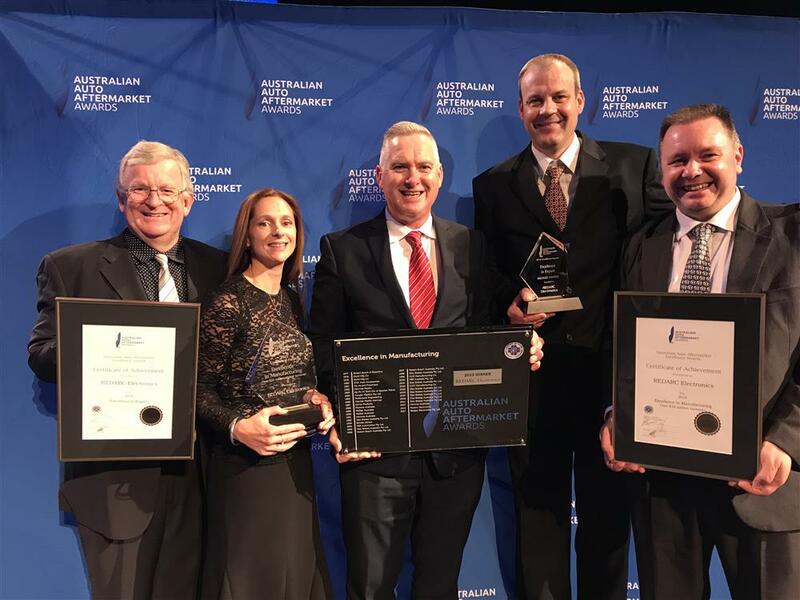 Australian electronics manufacturer REDARC has won its third consecutive Excellence in Manufacturing award at the biannual Australian Auto Aftermarket Awards that recognise outstanding achievers in the Australian Automotive Aftermarket Industry. In addition to scooping the Excellence in Manufacturing award for the third time running, the company also won the Most Innovative New Aftermarket Product (4WD) Award for its 50 Amp DC-DC in-vehicle battery charger and was awarded Bronze in the Excellence in Export category. The Most Innovative New Aftermarket Product (4WD) recognises excellence and innovation to any new electrical 4WD product for the interior or exterior of a 4WD vehicle, whereas the Excellence in Export Award recognises an organisation that has researched, identified and cultivated new markets outside of Australia, resulting in a growth in their customer base and increased sales. REDARC’s Managing Director, , Mr Anthony Kittel attributed the company’s success at the Australian Auto Aftermarket Awards to its continual innovation and hard-working staff. “We take great pride in receiving this award for the third consecutive time, it’s testament to the hard work and dedication which is embraced by all departments of REDARC,” Mr Kittel stated.